Many of you are hard at work on the fast-approaching VBS season. Whether a fully paid, subsidized or free series of events, VBS is a very big deal. In her article on the website, Facts and Trends, Sara Shelton informed: “Churches that used LifeWay VBS material reported more than 2.5 million people enrolled in VBS”. Add to that churches using other material and you get a lot of people! Statistics show that hundreds of thousands of these people were previously unchurched and that VBS results in tens of thousands of new professions of faith. 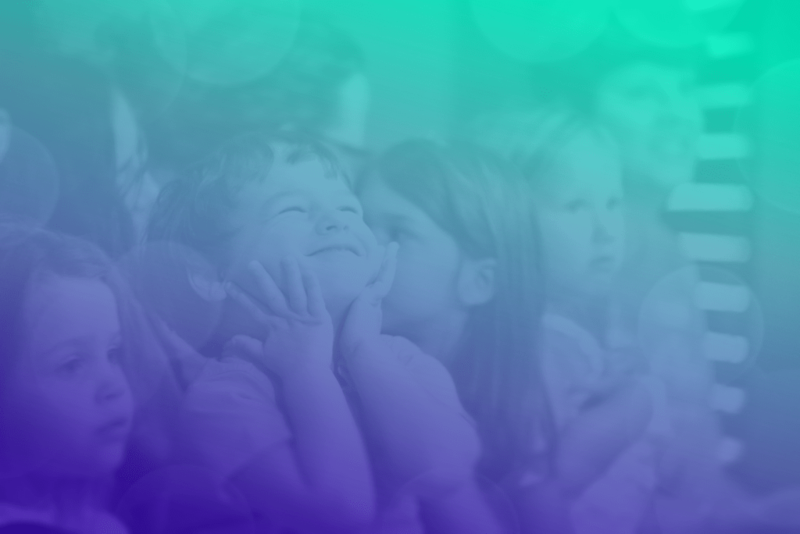 So, churches understand the huge opportunity here—the chance to create an experience that combines children, parents, God, your church, fun, and interaction. For the unchurched, it could be their first ever encounter. First-time guests have the opportunity to get to know your church since many parents hang out after dropping their kids off. And what about your church members who haven’t been around for a while? Many who have gotten lost have found their way back through children’s programs. And the positive knock-on effect is that people often stick around for a few weekends after VBS has finished. Rolling out and implementing a VBS program is a serious undertaking. Fortunately, there are lots of great VBS packages available with all the lesson plans, crafts, and activities you need. That’s not us. We’re more into the logistics side of things, the organization and communication if you will. Besides inspired content, successful VBS programs need people: people to attend and people to make it happen. We can help with that big time. What if you could use text messaging to get in touch and keep in touch in a human, non-spammy way before, during and after your VBS event? Platforms such as PastorsLine give you these options. Download the complete editable swipe copies here. Attendees: Most likely, you’ve got a list of attendees from last time. Start by uploading them into your text messaging platform. Note that we haven’t included any registration information. We recommend keeping your first, ‘reaching out’ text non-promotional. Once they reply, most messaging platforms allow for templates. You will reply with this template, linking to your VBS registration page. Since almost all text messages are read (97%), your response rate will be high. With PastorsLine, you can go one step further and TAG the responses, segmenting your list into yeses, nos, maybes, etc. If you are pressed for time, instead of asking the question, “Are you interested in attending?”, you might say, “If you are interested in attending VBS this year, you can check out the following link FMI –<Link>”. Just be aware this is “cheating” communication and is less effective than the first option. A message to a cold list that includes a link feels like spam. It’s a psychological turn-off. However, the written copy and targeted message (to a list of previous attendees) can help mitigate this. Additionally, if you have a church list, you may get permission to send out a message to the larger list as well. 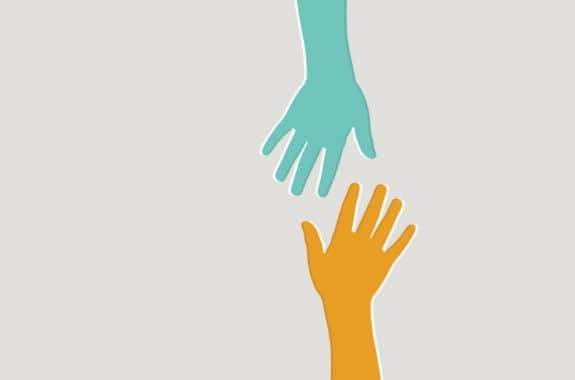 Getting people to help can significantly reduce your workload. But don’t just ask for volunteers. Give them a reason why they should serve and the impact (real local stats) it has for the church and Christ’s kingdom. Part of your registration process (online e.g. VBS Pro or the VBS program’s registration option or paper) likely captured all the parents’ mobile phone numbers. If you have time, offer them a way to opt-out of texting. Make it clear that you would only send VBS-specific texts and at most, once per day during the VBS week. You can let parents know interesting highlights about what happened that day; what’s on the plan for tomorrow; and any last minute changes. For emergencies with their child, you can reach them by text instantly. If you never got explicit permission, if you are using a local number (long code), you can send them at least one text and remind them they can opt out. For 5-6 digit numbers (shortcodes), you would need to get explicit permission—one reason why we recommend companies that offer local, unique, non-spammy numbers. SMSs for volunteers are invaluable because they keep meetings to a minimum and reduce the frequency of long emails. Any time needed, you can just send out a short text with details such as last-minute changes; tomorrow’s schedule; and words of encouragement. Solutions like PastorsLine can send up to 10 texts each day (a bit much for most cases unless you discussed this with your volunteers). Sending a 3-4 part text might be ok. Communicate the same with your volunteers and send the fewest number of texts as possible based on your agreement with your team. We are ready to start our VBS program tomorrow. Thank you for your time in helping decorate and prep for the classes. Here’s the theme for tomorrow. THEME. We start at 6:30 but all volunteers are asked to be there at 5:45 pm. Pro tip: Also email the same. The email might include more information, but sending via at least two different media helps to ensure your message is received. Communicate that you will be doing this and at what times. People are generally ok with communication if they are expecting it. There are other tools you can use during VBS to give out presents to parents who attend. PastorsLine offers a contest feature that can be fun. These are not the top things you might want to do but you can. We also offer text surveys where you can do a check-in on Monday night to get a sense of how things are going. Platforms such as PastorsLine offer automated messages. Attendees: Basically, you set up a series of personalized, automated texts for parents whose children attended VBS this year—both church members and first-time guests. This can be huge for a VBS follow-up campaign where you can thank the parents one day, then wait 1 week, invite them to your children’s church or related kids ministry activities, wait another week, and then invite them to church. All automatically. You can tag all the parents in your database for next year. One of the tags can be first-time guests vs. church members. This tag will be very useful for streaming them in future communications. Volunteers: The series for volunteers would begin with a huge ‘thanks’. Again, you could segment your database into church members vs. first-time helpers. You could include some data about the VBS results—attendees, new members, perhaps baptisms if there were any, etc. Include surveys. Emails can work, but whether you are using a polling feature like what PastorsLine offers or sending them to Survey Monkey or Google forms, texting is way more likely to be seen and acted on. Now, you have a base for next year. You don’t have to start from square one. Next time VBS is on the horizon, you can use the contacts you have to create a natural, viral, marketing hype—with just a little help from your marketing budget if needed. And even if it won’t be you spearheading your church’s VBS next time, you’ve been a good resource shepherd, passing on a great base from which to begin. Pro Tip: We didn’t mention about sending out a text to your church database to ask them to RSVP on your FB event page, tag their friends or forward a text to their contacts. Our focus was more on communication and administration, but this is something you should consider as well. Send a text before the event and send a text after the VBS to thank the church for all their help and share the wins. Sharing wins are huge as next year, you are likely to get more volunteers, donations, and support. Texting platforms for your potential members help with your ability to communicate in a more natural way. This increases your chances of starting conversations and keeping them going. You likely don’t want to tie your communication with guests to your personal cell phone or your volunteers may not want to use their cell phones to talk to “strangers”. Using a text messaging platform gives you control and tools, so you or your entire team can engage. It’s also a HUGE set of tools for volunteer engagement and communication. You can use other apps, but your volunteers can disable notifications or delete the app. With texting, they can opt out, but they are likely not to (Esp. if you communicate how and when you plan to text and be concise when communicating). So, are you planning to use text this year for VBS? If you don’t have a solution already use the coupon VBS2018 to get a free 30-day trial with 500 additional credits. Our standard free trial comes with 500 credits, so you will have 1000 credits to use. No CC required. Register here or Download the complete editable swipe copies here.